Mobily first announced these 4 bundles and two of those “prepaid” plans did not make any sense! A few days later they provided 6 more “postpaid” bundles. However they omitted one small requirement for these bundles is that you need to be a Mobily VIP customer! The Mobily employees were clueless on the first day and clueless now! One of them even said, in response to the VIP bundles: â€œÙ†Ø­Ù† Ù„Ø§ Ù†Ø±ÙŠØ¯ Ø£Ù† ÙŠØ­ØµÙ„ ÙƒÙ„ Ù…Ù† Ù‡Ø¨ Ùˆ Ø¯Ø¨ Ø¹Ù„Ù‰ Ø¢ÙŠÙÙˆÙ†â€ which means â€œwe do not want just anyone to have an iPhone!â€. There are even weirder Mobily stories on the first few days where some of the employees claim that the iPhone 3G in Saudi Arabia is LOCKED to the Mobily SIM card. The Saudi Arabia iPhone 3G was tested with different SIM cards and it is unlocked! It is confirmed by Apple so when a Mobily employee claims that the iPhone 3G is locked then they are lying and you should ask for his manager. Mobily claims an Arabic update from Apple is coming “soon”. They claim 3 months which is TOO LONG! You can jailbreak and buy iPhoneislam’s Arabtaller. I have just installed WPtouch plugin for WordPress that creates an iPhone/iPod Touch version of this site. You can still switch to the normal site by clicking on “Normal View” at the bottom of the page. I have decided to omit the telephone numbers for 2 reasons: 1) I HATE SMS Spam 2) Those prices are exorbitant. The prices in US$ are $1226.4 and $1333 for the 8GB/16GB iPhone 3G models. I recommend that you don’t buy the iPhone 3G at those outrageous prices! The store’s name is Reverse Technology, not T-Virus or Technology Virus. With the recent WWDC Keynote announcement. 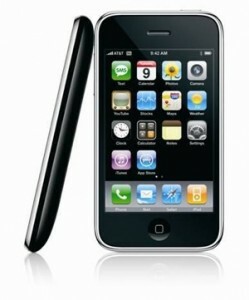 The new iPhone 3G was announced with a price point of (less than $199 in all countries). And over 70 countries will get the iPhone by September 2008. Two of those countries not listed was Saudi Arabia and the United Arab Emirates. Two of the biggest mobile communication consumers in the region. As for the UAE at least, the Telecommunications Regulatory Authority (TRA) was opposed to to exclusive deal. Probably because of monopoly issues, which is odd considering that VOIP services are blocked in the UAE. The only hope for Saudi Arabia users to get the iPhone is that Apple release an unlocked iPhone and sell it at full price. Also note that Arabic support is still missing in the iPhone despite the fact that 3 Arabic speaking countries: Egypt (Orange and Vodafone), Jordan and Qatar are getting the iPhone. Five months ago I blogged about Arabic localization attempts for the iPhone and iPod Touch. Unfortunately just like “iPhone4arab“, iFone4arab also stopped updating his site, and that was before Macworld and the iPhone SDK event. For me, screenshots and videos are not enough, and so I still consider this Vaporware. Vaporware is according to Wikipedia: Vaporware is a software or hardware product which is announced by a developer well in advance of release, but which then fails to emerge, either with or without a protracted development cycle. I don’t have to comment about iPhone4arab which promised Arab localization for the iPhone which was as far as I’m concerned is Vaporware. And claimed that he invented a method to unlock the iPhone while all he did was implement the iPhone Dev Team’s work. The only people who are working hard on the Arabic localization for the iPhone as far as I’m concerned are the good people at iPhoneIslam. iTarek have been releasing Arabic character viewer for the iPhone for a few months now. And now they – with the help of a programmed named Waleed – released the application Arabtaller that includes full Arabic keyboard for the iPhone. I consider this the first and only Arabic keyboard for the iPhone. You can install it through the Installer.app and you can find the steps on iPhoneIslam’s site. Thanks to Waiel at SaudiMac for the info. Reader Khaled brought to our attention two separate groups, both working at bringing elements of Arabic language functionality to the iPhone. The first, at iPhone Islam, is aiming to bring Arabic character support to the iPhone via a downloadable application (you’ll apparently need Installer.app to do so). Unfortunately, my Arabic’s a little rusty from a couple years of disuse, so you’ll have to visit the site yourself if you want to figure out exactly what procedure you need to follow. The second, more ambitious project, at iFone4Arab.com has as its goal producing a native Arabic interface for the entire iPhone. While they don’t yet have a working version available, you can check out screenshots at their website, or a YouTube video of the interface in action. Pretty cool. We’re sure there will be official Apple Arabic at some point (presumably by the time the phone hits the Middle East), but in the interim, it might be worth checking out one or both of these if you’re in need of Arabic support on your iphone.